The Bell, Davis & Pitt Estate Planning Law Blog is a resource for those interested in estate planning and estate administration law in North Carolina . Our aim is to discuss issues and reflect on developments related to this corner of the law for the benefit of individuals, executors, administrators, trustees, attorneys, and anyone else in search of information about North Carolina estate planning and estate administration law. Preparing for, and welcoming, a newborn into your home is one of life’s biggest life events. And while it’s full of joy and excitement, it comes with certain adult responsibilities beyond feeding, diaper changing and endless laundry. The passing of a loved one is difficult, and can be even more so if you are tasked with administering their estate. So you’ve been named as the executor in a friend or family member’s estate, what are your first steps? What Happens if You Die Without a Will in North Carolina? 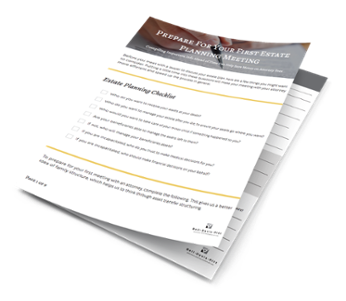 There are many benefits to taking the time to plan your estate – but what happens if you don’t? When an individual dies without a will, that person dies “intestate.” In this scenario, the distribution of the deceased individual’s estate is carried out in accord with the rules of intestate succession. For a real life example, we will pretend pop icon Prince died as a resident of North Carolina. Prince is reported to have an estimated estate of $200 million, and he had no will to direct the distribution of his assets at his death.